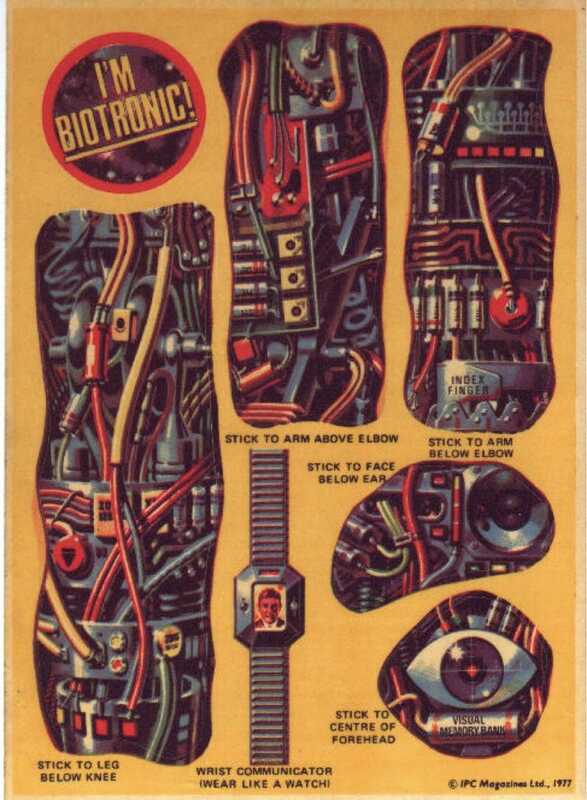 If you picked up the second issue of 2000 AD in 1977, you'd be the proud owner of these retro-ridiculous Biotronic stickers. And if you missed it, here's a second chance to print out and tape on that third eye. What I love most about these stickers is A.) the super-futuristic video wristwatch and B.) the word "biotronic." It's like the Betamax of posthuman terminology, whereas "cybernetic" was the VHS of man-machine adjectives.